This awesome Zombie Killer Machete will be the hit of the neighborhood when they see how great it is. This machete comes with a nylon sheath with a convenient belt loop so you can carry it on your belt. 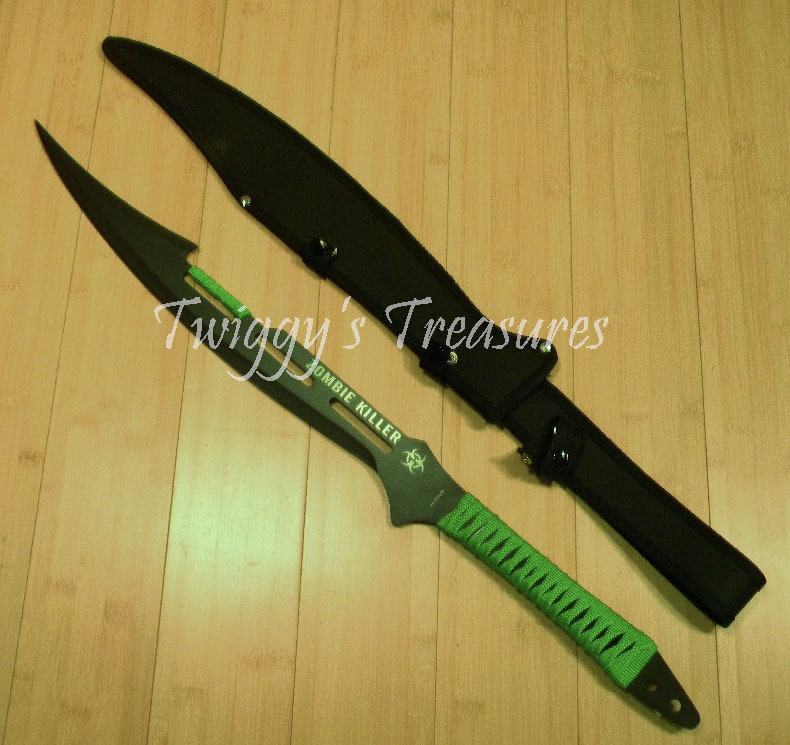 The blade is black with Zombie Killer on it and also the biohazard symbol on the blade. This blade is made of 440 Stainless Steel and is FULL TANG and the handle is wrapped in Para cord.